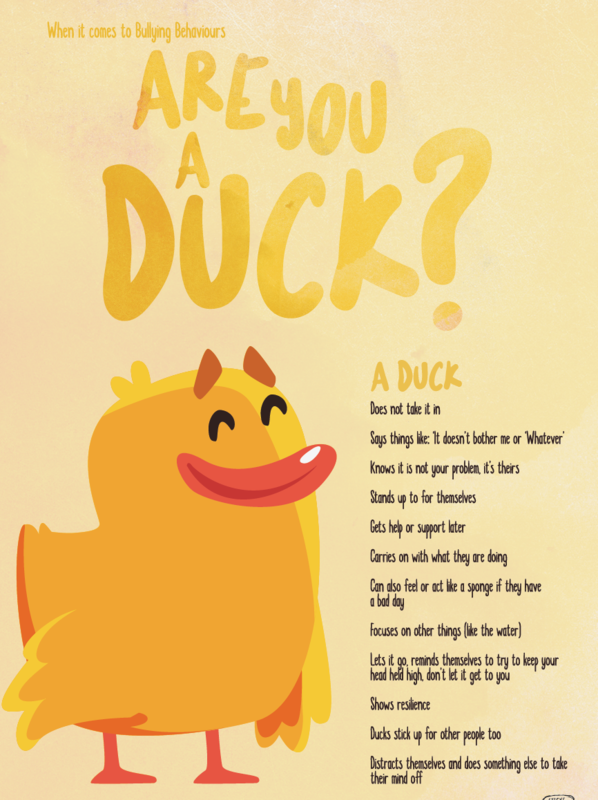 New Zealand Youth Create Anti-Bullying Campaigns Using 8 Keys to End Bullying! There is nothing that thrills an author more than knowing that their ideas and words are helpful to others. When you find out that those “others” include amazing 10-12 year olds from halfway around the globe, it’s even more of an honor! 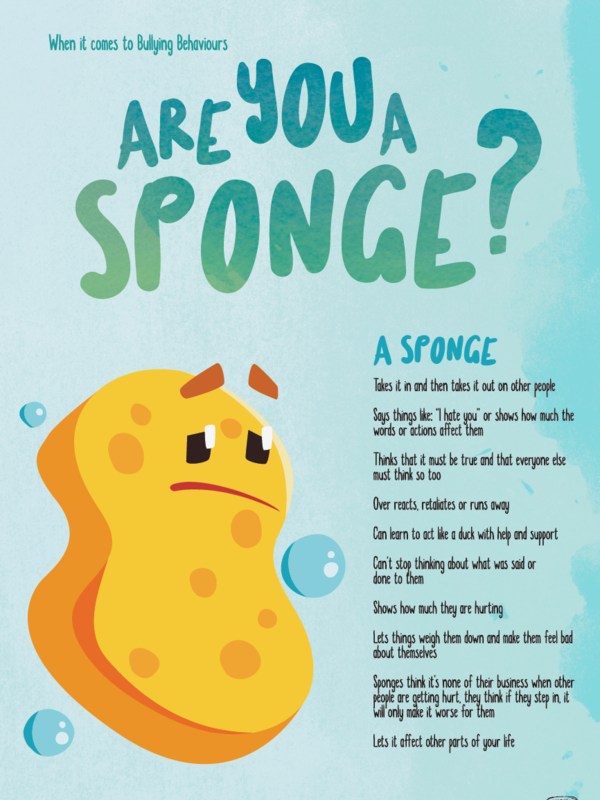 What fun to hear from Karla Sanders, Co-Founder and Director of New Zealand’s Anti-Bullying charity organization, Sticks ‘n Stones that a group of her student ambassadors were inspired by the “Are you a Duck or a Sponge” activity from my 8 Keys to End Bullying Activity Book and expanded on the lesson in order to create these AMAZING posters. Thank you, ambassadors, for all of the great thought, creativity, and artistry that went into this project! Please keep sharing your work and keep up your efforts to promote respect, acceptance and diversity.